~From humble beginnings and bumpy roads, I talk candidly about the man on and off the field, giving insight into why Aaron Rodgers is more than just the best quarterback in the NFL, but a unique and likable individual. A man who didn’t always have things go his way; yet through his struggles, he was able to find his strengths, his humility and his humanity. I remember the first time I saw Aaron Rodgers, sitting in the back of a bus loaded with college recruits and family. My first observation was that he looked like a little high school kid who had just discovered hair under his armpits. He wore a baseball cap which seemed to cover his face, yet I could still make out his idealistic smile and wisdom behind the eyes. I sat down in his general area, and at some point he and I introduced ourselves. I remember how surprised I was when he told me he played quarterback. My initial impression was that he was a place kicker or punter, judging from his frail and meager stature. Coincidentally, Aaron’s first summer in Cal was spent living in an old, enormous, relatively empty frat house just off campus right across the hall from myself. There were a few of us temporarily lodged away there for the month; we paid rent by doing odd clean-up jobs around the house. Aaron shared a room with his Butte junior college teammate, tight end Garrett Cross, while I was in a room with running back J.J Arrington. That summer month in the dirty frat house gave Aaron, Garrett and I time to get to know each other well enough to all agree to become roommates once the season and fall semester started. I could relate to this feeling. We shared some similarities in our hesitation to let people in right away, so Garrett became more of a buffer between us as we slowly improved our comfort levels with each other. However, this comfort was always kept at a relatively distant level. It’s hard for me to analyze the dynamics at play between our personalities, but it seemed we both had a strange disconnect, preventing a deeper comfort level and trust, yet we both were fond of one another and enjoyed our living arrangement and friendship. After all, we liked each other well enough to become roommates during our first year in college. That July, during practices on the rugby field above the stadium, Rodgers showed off his arm for the first time in the presence of the Cal football team. It didn’t take long before whispers regarding such impressive strength began to circulate around the team. After enough talk had consistently found its way into my dense skull, I decided to assess things for myself. So when I had a free moment away from defensive line drills, I focused in on the mechanics and arm strength of Cal’s new QB acquisition. At that time, Reggie Robertson was slotted in as the solid starter after the recent departure of Kyle Boller, who was drafted in the first round earlier that same year. Robertson was a senior that season who had waited patiently over four years for his opportunity to start. The difference in spin and velocity between these two guys as I watched them throw passes to receivers running routes was astounding. Aaron’s throws were crisp, tight spirals which zipped through the air in a straight line as if on a rope. Reggie’s throws were soft and wobbly by comparison. He was reasonably accurate, but his lack of velocity would allow for defenders to close the gaps on his throws much quicker. Even so, no one really knew what was to become of Aaron. Hundreds of quarterbacks have come and gone, all of whom could launch the ball with robot-like power. But the mark of a great QB is not measured in arm strength or physical dimensions; although many experts are likely to tell you differently. A quarterback’s true greatness resides in his heart and his mind—two places scouts have yet to accurately measure or predict. This common erroneous emphasis was in fact one of the main reasons Aaron’s destiny had led him to Berkeley, as the guy nobody paid any attention to. Even the great ones have growing pains. Sometimes these struggles can be so painful they can forever destroy confidence. Other times, they can be that key element in the very necessary maturation process. On October 4 , 2003, Cal was set to play Oregon State at home following an unbelievable upset over USC. This would be only the third start ever for Aaron. He started the first half of the USC game but was replaced by Robertson in the second half after his confidence began to falter as the game wore on. I can only imagine what the pressure must be like to be the starting quarterback of a big-time college football program, performing in front of thousands of fans. Unless you have ice in your veins, adjusting to a stage of that magnitude seems to be a major process. Aaron started the game playing horrible football. He was extremely uncomfortable, completing just two of his first 14 passes. The speed of the game and constant pressure Oregon State applied to our offense was clearly giving Aaron more than he could handle at the time. Head coach Jeff Tedford decided to let the young quarterback play his way through the struggles. By the time the final whistle had blown, Oregon State had won 35-21. Aaron finished the game despite the paralyzing boos of the home crowd. He completed just nine passes on 34 attempts for only 52 yards, no touchdowns, and an interception. I was too busy playing in the game to really notice how well Aaron had publicly handled such a terrible performance in what was his first complete home game in front of his family, friends, and the home crowd in general. Unfortunately, this was a bad day in Mr. Rodgers’ neighborhood. That night, back in our dorms, Aaron had been in his room all night with the door closed. So one of our roommates Francis and I decided to check in on him to see how he was holding up. When we went in the room, Aaron was laying in bed crying, profoundly disappointed in his performance. He told us that he felt as though he let the entire team down and the entire loss was his fault. I could remember us trying to offer up some words of encouragement, which did seem to dilute his state of utter despair. But for the most part, this was an emotional process that Aaron absolutely had to go through to become the quarterback he is today. That was the worst game Aaron had ever played in his entire football career. In the end, he emerged a stronger person, better leader, and will be forever reminded of his own humility. Seeing the man and quarterback he has become, it’s always interesting when I look back on that night in his bedroom, watching a boy become a man almost overnight. After that game, Aaron Rodgers and the Golden Bears would go on to win five of the next seven games that season, including a barn-burner and major upset over Virginia Tech in the Insight Bowl. It was in this game that Aaron took his skills to the next level and became one of the best quarterbacks in the nation. This inertia guided Aaron and the Bears into the 2004 season with great momentum. Early on in the 2004 season, the Golden Bears had established themselves as a top-10 team in the nation heading into the much-anticipated undefeated matchup against the top-ranked USC Trojans at the Coliseum. A team who we had beaten last year handed us our only loss of the season. There was clearly a lot of bad blood going into this game, and the atmosphere was one of the craziest I had ever been a part of. In a hostile environment and a nationally televised game, Aaron not only played great, but he tied an NCAA record with 23 straight completions. And he did this against one of the best defenses in the nation, on the road, and in front of one of the noisiest crowds I have ever experienced. It was on this day that the nation began to hear the name Aaron Rodgers. It was this game that catapulted him into the first round of the draft and truly displayed what appeared to be unlimited potential. His poise in the pocket and total command of the offense, coupled with pinpoint accuracy, is the reason why Rodgers is the best quarterback in the game today. The Man Behind the Scenes? Some interesting tidbits about Rodgers are bound to emerge after spending nearly every single day for almost two years with him. During college, Rodgers was ridiculously enamored with Jessica Simpson; he seemed to even have it in his head that they were somehow going to get married. I believe this was around the time that she and Nick Lachey were newlyweds and had their own reality TV show. Ironically, since that time, Aaron established himself as one of the best athletes in the world and Jessica actually dated another NFL quarterback in Tony Romo. Funny to think of all the fantasy crushes men have in a lifetime, Aaron actually had a legitimate shot at his fantasy girl, but his desire for her fizzled out right around the time he was actually in a position to get hooked up with her. But “hooking up” with girls was never something Aaron prioritized in life. Aaron was raised a devout Christian, and lived a life of strong religious values. He never spent his time in college drinking or partying. His discipline in life and foundation of beliefs were very admirable in an environment where he was often the odd man out. This speaks strongly to the type of character it takes to be a great quarterback in the NFL. Dedication, self control and passion are often undervalued intangibles when you consider some of the first overall picks that have come and gone recently—guys like JaMarcus Russell for example. Aaron was rarely, if ever, a guy you would find giving fiery speeches to his teammates, nor was he a big vocal leader. Rather, he would come in every day completely prepared to succeed at his job. I often wonder how much Aaron must have learned over the years from Brett Favre in terms of leadership and earning respect from his teammates. I’m sure, however, Aaron will always prefer to lead with his actions first and foremost. An interesting tradition Aaron had was wearing an old, worn out, white Joe Montana T-shirt under his shoulder pads for every single game. Montana was always his favorite player growing up. The world may know a charismatic, somewhat-stylish guy with lots of cool and a personality made for marketing. But the Aaron we all knew in college was much different. He used to drive around campus on a small scooter with a big bike helmet and the exact same hair cut as Lloyd Christmas from the movie” Dumb and Dumber,” which ultimately became one of his nicknames. For being the starting quarterback of a Pac-10 football program, Aaron was surprisingly unknown and low-key around campus. There was little fanfare surrounding him, and he was often lost among the crowd in our locker room. There was an obvious confidence and likability with the way he carried himself, yet he also managed to keep a distance from most people through school and even on the team. One of his favorite pastimes, and an alternative to college partying, was a nice poker game with a select group of friends. The biggest complaint Rodgers consistently received as a roommate from the guys at the dorm was he routinely poured himself bowls of cereal and would never wash his dishes. He was the main culprit for creating a sink full of dishes that he would never clean, no matter how long the dishes sat there, or how many times you said something to him. Aside from that, he was always a joy and a pleasure to be around. Very upbeat, positive and willing to be silly and let loose with the guys. ~GREEN BAY – As chapeaus go, Randall Cobb could not have chosen a more perfect one to wear after practice on Saturday afternoon: A camouflage baseball-style hat with a thick, block Kentucky K in black on the front. Both qualities were perfect tips of the cap (insert groan here) to the most versatile weapon in the Green Bay Packers potent offense: Camouflage, because opponents this season will be constantly searching for him in the Packers’ varied offensive formations, and Kentucky, because his role could be a throwback to his college days, when he did just about everything but work on the sideline chain-gang. “I think that’s one of the reasons they drafted me last year, because of my versatility to do different things,” Cobb said after practice Saturday. “I love the game of football, and regardless of the spot I’m playing or where I’m at on the field, I just like having fun. Being on a team with so many weapons and still being able to contribute in so many different ways, we’re just trying to find out what we can do with it. And Cobb certainly brings a lot to the table. As a rookie second-round pick last season, Cobb’s primary role was as the team’s kick and punt returner, where he finished the season with 27.7-yard kickoff return average (second in the NFL, including a team-record 108-yard return for a touchdown) and 11.3-yard punt return average (seventh in NFL, including an 80-yard return for a touchdown). But he did much more than that. He caught 25 passes for 375 yards and a touchdown, a role in the passing game that should only increase this year. He carried the ball twice for 5 yards – for a 1-yard gain on a shotgun handoff from Aaron Rodgers when he came in motion at Minnesota on Oct. 23, and for a 4-yard gain on a direct snap with Rodgers on the sideline at Kansas City on Dec. 18. He also threw a pass, taking a handoff from Ryan Grant and throwing incomplete for Greg Jennings on a reverse against the New York Giants on Dec. 4. Now, coach Mike McCarthy isn’t going to turn back the clock to Cobb’s college days at Kentucky, where he attempted 122 career passes (his primary position was quarterback as a true freshman in 2008), had 228 rushing attempts (lining up at quarterback, running back and on receiver end arounds/reverses), caught 144 passes (including 84 in his final season, when his official position became receiver) and returned 110 kickoffs and punts (on which he scored two touchdowns). But, McCarthy is well aware of Cobb’s versatility, and in his multidimensional offense, the coach will have a chance to get even more creative with Cobb than he was last year. “It’s important to always try to create schemes where you’re giving people the opportunity to make plays,” said McCarthy, who had Cobb take a few handoffs from Rodgers in practice Saturday. Cobb’s most valuable role on offense, of course, will be at receiver, where he can line up both in the slot and out wide. Wide receivers coach Edgar Bennett, speaking at the end of the minicamp last month, was breathless about Cobb’s potential as a receiver and hinted about Cobb’s varied role in the offense. Cobb had some phenomenal moments as a pass-catcher the past two days in practice, going up high against Tramon Williams and Charles Woodson to haul in a deep ball from Rodgers during Friday morning’s practice inside the Hutson Center, and delivering a couple of huge plays Saturday, including getting behind Sam Shields to haul in another deep throw from Rodgers in 11-on11. The only drawback to Cobb’s day – and it was a significant one – was that he dropped three passes, by unofficial count. One was on a slant from Rodgers where he’d beaten his man off the line of scrimmage and had nothing but open space in front of him on what surely would have been a touchdown. Much like his return game, where he had the two touchdowns but also coughed up three fumbles, Cobb must become more consistent in his second season. Cobb also acknowledged that he worries that his multi-faceted role might prevent him from becoming the best receiver he can be – “If you’re not doing one thing, you’re not going to get as good as you can” at that one thing, he said – but at the same time, Cobb appears to be the kind of person who can multi-task exceptionally well. After all, this is a guy who’s taken a class each of the past two years during training camp to continue working toward his communications/leadership development degree. Last year, while learning a playbook he didn’t see until the first day of camp, he managed to learn all the receiver positions while earning a B grade in a political science class. This year, he’s got an A going into next week’s final exam for an early child development class, and he’ll spend Sunday’s day off studying. Cobb also has done extensive studying of the Packers’ playbook, and after catching a 32-yard touchdown pass in the regular-season opener against New Orleans last season despite running the wrong route, he said he has yet to be charged with a mental error during offseason practices or the first week of training-camp practices. Cobb also spent much of the offseason refining his route-running, and given what a stickler Rodgers is for precise routes and avoiding mental mistakes, that increased trust from the quarterback could translate into increased production from Cobb, who many predict to be one of this season’s breakout players in the NFL. For his part, though, Cobb couldn’t care less. He’s more concerned with learning the intricacies of the offense – including offensive linemen’s blocking assignments, he said Saturday – than finding out where he ranks on fantasy football draft boards. ~The Green Bay Packers have released defensive back Charlie Peprah after the veteran stepped in for an injured Nick Collins last season. Peprah told Jason Wilde of ESPN Milwuakee he was released and shared his disappointment Wednesday. The Packers later confirmed the release. Many expected Peprah to fill the empty starting role created by the release of Collins in March. Peprah started 25 games over the past two seasons for the Packers, including 11 games in 2010 when Green Bay won Super Bowl XLV. Last season he collected 94 tackles and five interceptions including one he returned for a touchdown. Peprah started his career in Green Bay but signed with the Atlanta Falcons as a free agent in 2009. He re-signed with the Packers in 2010. ~GREEN BAY — How to explain Jermichael Finley’s yips last season? According to ProFootballFocus.com, Finley’s 12 drops were most among tight ends in the league even though the fifth-year pro for the Green Bay Packers ranked only No. 11 at the position in passes targeted. New England’s Rob Gronkowski had the next-most drops with eight. He was targeted 121 times and caught 90 passes, to Finley’s 91 targets and 55 receptions. New Orleans’ Jimmy Graham had league highs with 146 targets and 99 catches but had only six drops. Green Bay tight end Jermichael Finley reacts after dropping a pass in the fourth quarter of the Packers' 37-20 playoff loss to the New York Giants at Lambeau Field on Sunday, Jan. 15, 2012. Considering that Finley has maybe the most natural pass-catching hands on the team, those drops raise the question of whether his public proclamations about YOTTO (year of the takeover) in back-to-back years created more self-imposed pressure than he could bear. Going into each of the last two seasons, Finley publicly promised to put up huge numbers but failed to do so. In 2010, he was off to a decent start (21 catches in four games) before a knee-cartilage injury ended his season in Week 5. Last year, he played in every game, but along with his modest number of receptions, appeared to lose some of quarterback Aaron Rodgers’ trust as the season went on and the drops continued. To be sure, Finley is a key player in the Packers’ prolific offense even if he finished only No. 3 on the team in receptions last season. He and receiver Greg Jennings drew the most attention of opposing defenses, which helped Jordy Nelson to a breakout season that included a team-high 68 receptions and the No. 3 ranking in the league in touchdown catches (15). Finley also averaged 13.9 yards per catch, which ranked No. 3 among tight ends with 40 or more receptions, and had eight touchdown catches, which was third among tight ends. At age 25, Finley hasn’t reached his prime. Even after his shaky 2011, the Packers made a priority to keep him off the open market before the start of free agency and reached a compromise deal that worked for both parties. Finley’s two-year contract that averages $7 million puts him on par with the highest-paid tight ends in the league for average pay — he ranks fifth, not far behind the leader, Dallas’ Jason Witten at $7.5 million per season. But in acknowledgement of the Packers’ concerns that Finley hasn’t played up his talent for a full season, the Packers didn’t make the enormous commitment in guaranteed money needed for a long-term deal, and Finley in return will become a free agent again when he’s still young (he turns 27 in March 2014). Still, for any concerns the Packers have about Finley’s off-field maturity and proclivities for unpolitic comments to reporters and on Twitter, they like his desire to be great and consider him coachable. Though Finley achieved some financial security with his new contract, the short-term deal suggests he’ll be highly motivated for a potentially huge payday in only two years. Coach Mike McCarthy probably won’t build his offense around Finley to the degree the coach did heading into 2010 — the offense’s rhythm improved later that Super Bowl year even after Finley’s season-ending injury — but Finley’s combination of size (6-5, 247) and receiving talent make him potentially as important as any receiver on the team. “If he plays well, his contribution will be enormous,” Fontenot said. Finley loves the game, loves to win, but also loves the limelight. Some feel he puts too much pressure on himself. Including Finley, the Packers return as talented a pass-catching corps as any team in the NFL. Greg Jennings has been the best playmaker the last five years and at age 28 is entering the final year of his contract. Nelson (18.6 yards per catch last year) improved measurably in each of his four previous seasons and has become the team’s No. 2 receiver as a downfield target who, at 6-3 and 217, is good at going over defensive backs and high-pointing the ball. And based on flashes he showed last year as a rookie, Randall Cobb could become a game-changer. The second-round pick caught only 25 passes last season but showed explosiveness after the catch and in the return game, and figures to be the team’s top slot receiver this season. Like last year, the Packers figure to work James Jones regularly in the rotation, and their paying 37-year-old Donald Driver a $1.2 million roster bonus this offseason means it’s almost a given he’ll be on the roster and suggests he’ll be part of the rotation. Less clear is how many receivers they’ll keep on their roster. In recent years, general manager Ted Thompson and McCarthy have bucked convention and kept a radically high number of players at a position. Last year it was five tight ends; the year before three fullbacks. This year they’re high on two players from last season’s practice squad — Tori Gurley and Diondre Borel — and have a third interesting prospect in Shaky Smithson, a return-game specialist who spent last season on injured reserve because of a shoulder injury. ~Under general manager Ted Thompson, the Green Bay Packers always have looked first to the draft as the right way to build a contender. That philosophy was readily apparent in the way Thompson tried to fix one of the league’s leakiest defenses this offseason. Clay Matthews needed help last year and didn't get it. Ted Thompson gave him plenty of help this off-season. The Packers took defensive players with their first six picks in April, including outside linebacker Nick Perry and defensive lineman Jerel Worthy. And if those players — plus a handful of free agency additions — can help stop some of the big plays the Packers gave up last season, they should be Super Bowl contenders again. Thanks to an explosive offense led by Aaron Rodgers, Green Bay’s defensive issues really didn’t matter for most of last season and the Packers nearly went undefeated. Then came the divisional playoff game at Lambeau Field, where the New York Giants exposed defensive flaws and the offense couldn’t put up enough points to overcome it. Packers coach Mike McCarthy also walked away from that game concerned about turnovers. On offense, one of the league’s most explosive units returns largely unchanged, with only a few question marks. Center Scott Wells signed with St. Louis as a free agent. The Packers brought in veteran Jeff Saturday, who must establish chemistry with his new teammates in camp, and stay healthy through the season. One potential issue on the offensive line is Marshall Newhouse, who performed fairly well at left tackle after a long-term injury to Chad Clifton last season. Now Clifton is gone, and Newhouse must show he’s capable of protecting Rodgers on a full-time basis. The Packers also haven’t brought back veteran running back Ryan Grant, betting that a young running back group led by James Starks will be enough to win. And with backup quarterback Matt Flynn signing with Seattle as a free agent, the inexperienced Graham Harrell will be counted on if anything happens to Rodgers. Rodgers has a remarkable number of talented targets in the passing game. That includes veteran receiver — and “Dancing With the Stars” champion — Donald Driver, who insists he’ll still be productive. Matthews was the only player who was able to generate any pressure last year, and he was constantly double-teamed and contained to under 10 sacks. Green Bay also lost offensive coordinator Joe Philbin, who became coach of the Miami Dolphins [team stats]. McCarthy calls plays on Sundays, but it remains to be seen how much the Packers will miss Philbin’s influence behind the scenes. Former quarterbacks coach Tom Clements takes his place. Still, the main questions remain on defense, where Dom Capers wants to see big contributions from new faces and better tackling from just about everybody. The Packers need to replace safety Nick Collins, who isn’t returning after sustaining a significant neck injury last season. In camp, M.D. Jennings might challenge veteran Charlie Peprah, who filled in for Collins last season. Charles Woodson isn’t expected to move to safety full time, but already plays multiple positions within the defense and could see his role change slightly. Green Bay also needs to improve a pass rush that managed only 29 sacks last season, tied for third fewest in the league. After piling up 23 1-2 sacks in his first two NFL seasons, Matthews had only six last season. If Perry can learn the outside linebacker position quickly, his rushing ability could divert some pass protection focus away from Matthews. “The faster we can get him up to speed, the faster we can have some fun moving him around, flying around and making some plays together,” Matthews said. 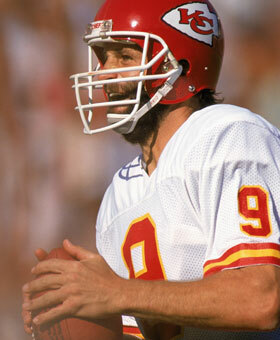 ~Some fans may be unfamiliar with Bill Kenney, the Kansas City Chiefs’ signal caller from the 1980s. Most fans who even know Kenney are scratching their heads right now to figure out what he has to do with Green Bay’s Aaron Rodgers. Rodgers was a first-round pick drafted to replace the legendary Brett Favre, while Kenney was Miami’s Mr. Irrelevant choice in the 1978 draft. He was technically next to last, but the final pick never made it to training camp so Kenney got the title. The Chiefs drafted Todd Blackledge in 1983 to replace Kenney. Kenney was an average quarterback with a 34-43 record as a starter, and his only playoff appearance was coming off the bench in a defeat. Kenney is the only Mr. Irrelevant to ever make the Pro Bowl, as he was an alternate for his 1983 season in which he became the fourth NFL quarterback to throw for 4,000 yards in a season, beating Lynn Dickey (the fifth) by a day. Rodgers is statistically out of this world. He has gone 41-21 in the last four years and won a Super Bowl and Super Bowl MVP in 2010. In 69 games, Rodgers already has 27 more touchdown passes and 89 more passing yards than Kenney had in his career (106 games). But Kenney and Rodgers do have quite a bit in common. Kenney and Rodgers are two of only five quarterbacks to produce a game with four touchdown passes and two touchdown runs. They both even had 38 pass attempts in that game. But that is a one-game comparison that just makes for interesting trivia. The statistical similarities we are talking about go much deeper than one game, or one season for that matter. The greater similarity is that Rodgers, like Kenney, has consistently failed to come up big in critical fourth-quarter comeback opportuntiies. It is the reason Kenney was not held in higher regard in his day, and it’s the reason that has kept Rodgers from even more success in Green Bay. Rodgers has been all-world, but the missing piece from his MVP credentials are a bucket full of 4th quarter comebacks. The flip side of it, however, is he and the team rarely trail in the 4th quarter. However, when they do as things haven't clicked then as in Kansas City last year or vs New York in the playoff game, is that he hasn't come up big when those chips were down, a la Brady, Manning, Elway, etc. That can't change unless the team trails more. A refresher in case you forgot your Captain Comeback terminology: a fourth-quarter comeback opportunity is when an offense has possession of the ball in the fourth quarter, trailing by 1-8 points (one score). And Rodgers falls far short of most of his contemporaries. Consider Giants QB Eli Manning and Cowboys QB Tony Romo. Manning, who knocked the 15-1 Packers out of the playoffs last season, is 21-22 (.488) in fourth-quarter comeback opportunities. Romo, who is widely perceived as a huge choker, is 13-20 (.394) in fourth-quarter comeback opportuntiies. Hell, even JaMarcus Russell was 3-6 in his short career; he was a defensive stop away from 4-5, and one of his other losses came when Justin Fargas fumbled the ball on the drive’s only play. Some believe these things even out over the years, but Kenney played nine seasons, and Rodgers’ record involves the last five. How many years does one need to display a good or bad record in close games before you believe it is more than just a random fluke? At some point, pure dumb luck should have given them a boost. Instead, Rodgers is Mr. Irrelevant in the fourth quarter, much like Kenney was Mr Irrelevant in the draft. Can any quarterback truly be unlucky? You may scoff at the idea of Aaron Rodgers being unlucky. Looking back now, it was probably a blessing in disguise that Rodgers waited on draft day to be picked No. 24 in 2005, and then waited three full seasons behind Brett Favre before finally getting to start in 2008. He plays in a great offensive system with incredible depth and talent at receiver. He is the reigning league MVP and has dominated the top spot in recent large-media player rankings. When he brings his A-game, the Packers look as unbeatable as any team in the Super Bowl era. But the main problem Rodgers and Mike McCarthy’s Packers have is that they just do not finish close games for victories the way an elite team should. They do not even do it the way an average team should. We detailed the problem the day the 2011 season kicked off. Front-running is the proper way to describe how Green Bay plays, and that is not necessarily a bad thing. The problem comes when front-running is the only thing you are capable of doing. After a record-setting 19-game winning streak without trailing in the fourth quarter, it looked like Rodgers may never face another comeback opportunity on his way to a second ring. But when the streak ended in Kansas City and the Packers trailed in the fourth quarter, their winning streak ended as well. Rodgers threw incomplete on a fourth-down pass, and then was sacked on a third down to end another drive. Likewise in the NFC Divisional playoffs against the New York Giants, the Packers found themselves down 20-13 in the fourth quarter. Rodgers was sacked on a fourth down at the Giants’ 39, and Eli Manning led another scoring drive to open up the lead. Green Bay lost by 17 points at home. Rodgers had his two worst games of the season on those days. Green Bay’s only fourth-quarter comeback in 2011 was the game Matt Flynn started in Week 17, throwing for 480 yards and six touchdowns against Detroit. Green Bay does an incredible job of keeping almost every game close, but they just do not finish enough of them with wins. Before last season, the common response from Green Bay fans about their poor record in these situations was that Rodgers usually did his job. It was the defense, or kicker Mason Crosby that let the team down in the end. There is some truth to that, but the same things can be said for many quarterbacks. Yet many quarterbacks boast a lot more than three comeback wins, which you can see buries Rodgers and Kenney on this list of leaders since 1960. The list shows that 199 quarterbacks, many of them unknowns or journeymen, produced more than three fourth-quarter comeback victories. Contemporary elite QBs such as Peyton Manning, Tom Brady, Eli Manning, Ben Roethsliberger and Drew Brees all boast at least 19 comeback victories. Bill Kenney knows all too well about being let down by his Kansas City teammates. He would have to be let down in order to amass a record of 3-27 in fourth-quarter comeback opportunities. When you add all game-winning drive opportunities, the two quarterbacks again have a very similar record. Kenney was 7-27 (.206), and Rodgers is 6-20 (.231). Exactly half of Rodgers’ 20 losses saw the Packers leading at some point in the fourth quarter. That is nearly identical to the 13-of-27 leads held by Kenney’s Chiefs (48.1 percent). The average blown lead was also nearly identical, at just under six points (basically a touchdown). Four times the Chiefs blew a two-score lead, ranging from 9-13 points. The Packers had two blown two-score leads (10 and 11 points). The worst blown lead came in 1984, when the visiting Chiefs led the Giants 27-14 in the fourth quarter. After the defense allowed two long touchdown drives, Theotis Brown fumbled the ball at midfield with 1:43 left, and Kenney never got the ball back. This was a season after Brown had fumbled at the 2-yard line against San Diego with the Chiefs trying to make a 14-point comeback. They eventually did when Kenney threw a game-tying touchdown with 1:34 left, but he never got the ball back. San Diego got the game-winning field goal with 0:02 left in a 41-38 win. Kenney was 31/41 for 411 yards and 4 TD in a career-day. But for as good as Kenney was in that 1983 game at San Diego, it was not a “lost comeback” as the Chiefs never took the lead in the fourth quarter. A “lost comeback” is a game where the quarterback met every requirement for a fourth-quarter comeback win except for getting the actual win. Rodgers has four lost comebacks, and Kenney has six. Kenney had three lost comebacks alone in the 1983 season when he threw for 4,348 yards. Kenney has a rather crazy number of lost comebacks when you consider the career total for very experienced franchise quarterbacks like Peyton Manning (7), Tom Brady (2), Dan Marino (7), Brett Favre (9), and John Elway (8). If you adjusted each quarterback’s fourth-quarter comeback records with the lost comebacks, then they would be 9-21 for Kenney (.300) and 7-14 (.333) for Rodgers. The two most recent lost comebacks for Rodgers were great games where he could not do anything else for his team in the fourth quarter. 9/27/2010 at Chicago (L 20-17) – Rodgers put the Packers ahead with 6:52 left on a touchdown scramble. With the game tied, James Jones fumbled his pass, and the Bears kicked the winning field goal with 0:04 left. Rodgers never got another chance. 12/20/2009 at Pittsburgh (L 37-36) – Down 24-14 to start the fourth quarter, Rodgers would lead the Packers to a 28-27 lead. After falling behind 30-28, Rodgers took advantage of a short field after Mike Tomlin’s onside kick decision, and threw a go-ahead touchdown to James Jones and two-point conversion pass to Brandon Jackson with 2:06 left for a 36-30 lead. Ben Roethlisberger led the Steelers 86 yards for the game-winning touchdown pass with no time left on the clock. Kenney’s six lost comebacks read like a Greek tragedy. 11/1/1981 at San Diego (L 22-20) – Down 19-14, Kenney leads consecutive field goal drives for a 20-19 lead. San Diego gets a late field goal, and Kenney has just 0:13 left when he gets the ball back. He completes a 44-yard pass as time expires. 12/12/1982 vs. LA Raiders (L 21-16) – After falling behind 14-9 late in the fourth quarter, Kenney goes 4/4 for 73 yards, and Billy Jackson scores a 1-yard touchdown run with 1:55 left. The Raiders get a late touchdown, and Kenney has just 0:16 left. He throws three desperate incompletions to end the game. 9/12/1983 vs. San Diego (L 17-14) – Down 14-10, the Chiefs used a trick play with receiver Carlos Carson throwing a 48-yard touchdown pass to Henry Marshall with 3:07 left. Dan Fouts led San Diego back with a touchdown, and Kenney had 1:45 left to answer. After three short completions for nine yards, the Chiefs handed off to Jewerl Thomas on 4th and 1, and he was stopped for no gain. San Diego ran out the clock. 11/6/1983 vs. LA Raiders (L 28-20) – After the Raiders took the lead, Kenney went 6/11 for 64 yards and a touchdown pass to Ken Thomas with 7:16 left. The Raiders get another touchdown to go up 21-20. Kenney completes a 50-yard pass, setting up kicker Nick Lowery for a 43-yard field goal. Lowery misses with 1:52 left. Kenney gets the ball back with 0:39 and no timeouts left at his own 30. As time is ticking down, Kenney throws a pick six with 0:03 left, securing the 28-20 loss. 11/27/1983 at Seattle (L 51-48 OT) – Despite holding a 42-31 lead in the fourth quarter, Seattle comes back to take a 45-42 lead. With 2:15 left, Kenney engineers an 80-yard touchdown drive, completing 4/6 passes for all 80 yards and the 21-yard touchdown to Theotis Brown with 1:30 left. One problem: Nick Lowery misses the extra point, meaning Seattle can get a field goal and tie instead of having to score a touchdown to win. They get the field goal, and the game goes to overtime. Seattle wins the coin toss and gets the winning field goal. Kenney never touched the ball after the go-ahead touchdown pass. Kenney-Rodgers Stat: Need another interesting connection? 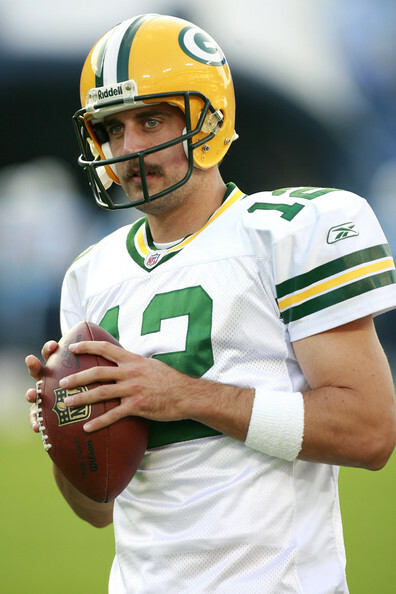 Aaron Rodgers holds the NFL record for most points scored in a playoff loss (45 at Arizona in 2009 NFC Wild Card). Bill Kenney was the first to hold the record for most points scored in a NFL regular season loss (48 at Seattle). Kelly Holcomb did it with Cleveland in 2004 against Cincinnati. Note: George Blanda holds the overall pro record with 49 points in a 52-49 defeat to the Raiders in 1963, but that was an AFL game. 11/8/1987 vs. Pittsburgh (L 17-16) – Trailing 14-10, Kenney has two low-impact drives that result in field goals for a 16-14 lead with 10:46 left. After Christian Okoye fumbles, the Steelers take a 17-16 lead. Kenney throws a desperate interception on 4th and 18 at his own 32. He gets the ball back one last time with 1:17 left and no timeouts. Kenney completes a pass to the PIT 20, but there is not enough time left to stop the clock and get the field goal. When this disgruntled Chiefs fan went off on Kenney on his site, claiming he “would never, ever come through in the clutch,” he was almost right had he meant the team and not specifically Kenney. A clutch field goal is defined as a field-goal attempt in the fourth quarter or overtime with the team tied or trailing by 1-3 points. Kansas City’s Nick Lowery missed four clutch field goals, and Green Bay’s Mason Crosby missed three. Lowery was considered a great kicker in his career; however he was hardly the Adam Vinatieri of his era. 10/9/1983 at LA Raiders – Down 21-20, Lowery’s 48-yard attempt is blocked with one second remaining. 11/6/1983 vs. LA Raiders – A month later, down one point again to the rival Raiders, Lowery misses a 43-yard field goal with 1:52 left. 11/30/1986 vs. Buffalo – Down 17-14, Lowery’s 44-yard attempt is wide left with 0:14 left; failing to send the game to overtime. 12/19/1987 at Denver – Down 20-17, Kenney goes 5/9 for 51 yards to try and force overtime after trailing 20-10 in the quarter. Lowery is wide right on the 37-yard field goal with 0:34 left. In the aforementioned shootout with Seattle in 1983, Lowery was wide left on an extra point with 1:30 left, which would have given the Chiefs a 4-point lead, forcing the Seahawks to score a touchdown instead of the game-tying field goal. At a minimum, that would be two game-winning field goals, two game-tying field goals to force overtime, and an extra point that really boosts the team’s probability of winning. Mason Crosby is a less accomplished kicker drafted in the sixth round in 2007. He has made 79.4 percent of his field goals. 11/9/2008 at Minnesota – Down 28-27, Crosby came up wide right on a 52-yard attempt in the dome with 0:26 left. 12/22/2008 at Chicago – On a frosty night and with the game tied 17-17, Crosby’s 38-yard attempt is blocked with 0:18 left. Chicago gets the ball first in overtime and Robbie Gould makes the game-winner from the same distance. 10/10/2010 at Washington – Tied 13-13, Crosby misses a 53-yard attempt with 0:01 left after it hits the left upright. A Rodgers interception in overtime sets up Washington’s winning field goal. Crosby could have had three game-winners here, though two of the attempts were long, and the other was blocked on a cold night. If there was something to take out of these losses, it was that Rodgers played better in general, and better in the fourth quarter specifically. That should be expected, as he is a better quarterback than Kenney. But the ugly stat for Kenney is the 14 interceptions he threw in the fourth quarter of these 27 games. Rodgers has half as many turnovers (six interceptions, one lost fumble). On 10 occasions, Kenney threw an interception in the final two minutes of the fourth quarter. Even uglier for Kenney: he threw four pick six’s in the fourth quarter when trailing by one score. Three times it happened in the final two minutes. Rodgers has thrown a pick six, and of course lost a fumble that was returned for a game-losing touchdown in overtime of his first playoff game in Arizona. Now to Kenney’s defense, once again, he was facing a lot of desperate situations in the final minute when he needed to just throw one up and make a miracle happen. That’s understandable. Four of the interceptions came on drives that started with fewer than 40 seconds remaining, and with Kansas City trailing each time. That was just the reality of what happened too often in the 80s for Kansas City. They made it harder on themselves by giving the game away so late. While Rodgers competes with a loaded offense and talented defense, Kenney played on the forgotten era of the Chiefs; teams mostly devoid of talent. Marv Levy was there in his first head coaching stint for Kenney’s first three seasons, but other than that, Kenney was never in the presence of anyone in the Hall of Fame. These were not your Hank Stram-era Chiefs, with several Hall of Fame players on the roster. These were also not your Marty Schottenheimer-era Chiefs, who came in 1989 and drafted Derrick Thomas No. 4 overall. No, this was the long go-between era, and Kenney’s teammates were receivers like Carlos Carson, Henry Marshall, Stephone Paige. Running backs like Herman Heard, Joe Delaney, and Billy Jackson. Delaney made the Pro Bowl as a rookie, but he tragically died in 1983 after trying to rescue three children from drowning. Kenney’s Chiefs did not have household names, yet he still managed above-average stats (even if slightly) for most of his career. Perhaps if his teammates performed better in the fourth quarter, the Chiefs could have avoided the dreaded pick of Todd Blackledge No. 7 overall in 1983. Kenney would have had more wins, and a winning record for his career. He would have earned some more respect. Instead, Kenney rolled with the punches and had more than a fair share of bad luck in Kansas City. Packer coach Mike McCarthy has had plenty of confidence in Graham Harrell for awhile. Now fans and media might learn why McCarthy and Ted Thompson were willing to let Matt Flynn get away to Seattle. ~Barring a significant setback as the summer progresses, we hear Graham Harrell remains a solid bet to replace Matt Flynn as the Packers’ signal caller behind Aaron Rodgers this coming season. Primarily due to Harrell’s lackluster track record up to now at the pro level — he already has been cut twice before by the Packers — rumors that the Packers might seriously pursue QB Colt McCoy, a more proven commodity than Harrell who has seemingly become expendable in Cleveland, can be expected to linger for a while. Graham Harrell looks on as Aaron Rodgers does in the background, last year in a preseason game versus the Arizona Cardinals at Lambeau Field. But according to sources on the scene, a legitimate case could be made for Harrell being arguably the most impressive Packers player so far this offseason. For one thing, Harrell looks a lot stronger from head to toe after adding 10-15 pounds of muscle and undergoing special shoulder treatment. In addition to adding substantial zip to his passes, we hear Harrell, who bypassed an offer from the Bills last summer to remain with the Packers, has looked increasingly comfortable making adjustments — both inside and outside of the pocket. ~After seeing the stretched-out NFL Network’s Top 100 Players, and then ESPN’s Jaws Top 30 NFL QB’s, I felt it was time to take a look at who the most important Packer players are for 2012. These aren’t necessarily the best ten players, but who I feel are the most important. Bookend USC OLB's Clay Matthews and Nick Perry, rookie, are being counted on to boost the Packers pass rush in 2012 and prevent another embarrassing year of pass defense. Again, there’s nothing in stone. In 2001, New England’s Drew Bledsoe would have been ranked number one on his team, yet he went down and they still ended up shocking the world and winning a Super Bowl. Their young, untested backup QB turned out to be Tom Brady. I have confidence in Graham Harrell, but perhaps not to lead a Super Bowl-winning team. Last year in New York, there was worry at WR after they let Steve Smith go. Turned out Victor Cruz wasn’t bad. With that being said, here’s how I see it now. Great QB’s win Super Bowls in today’s NFL, and Rodgers is as great as they get. With him healthy, the Packers will again be on the verge of greatness and a constant threat to win the Super Bowl. Without him, forget Super Bowl hopes. The year Rodgers had last year was all-time great, and it should have resulted in a 2nd Super Bowl. But his receivers, running backs, and OL let him down in that Giant collapse in the playoff loss. He’s the one guy who has the ability and persistence to make opposing QB’s worried and rushed back there in the pocket. With help, he disrupts QB’s as much as anyone, as witnessed in the 2010 season. Last year, he had no help. With the additions of Nick Perry and a bunch of guys on the DL, there should be a lot more good things coming from Clay’s sidekicks, and that should free him up more and we should see more of his biceps following sacks in 2012. This is not a top-ten “best” list. But the blind side protector of #12 is critical. I’ve read a piece on some random blog that tried to make a case that the LT position is overrated. That’s hog wash, especially for this team. Case-in-point: the two Packer losses last year. Week 15 last year in Kansas City, we saw Tamba Hali run right around Marshall Newhouse all day long. What happened to Rodgers, and the whole offense? Case number two, what did the Giants pass rush do to the timing of that same offense in the playoff failure? The strip-sack of Rodgers on a play he took a quick 3-step drop with 7 pass-protectors prevented a touchdown pass to Jennings, and basically ended the Packers season. The left tackle position is critical and for years, Chad Clifton was a rock there. Left tackle Marshall Newhouse has a chance to establish himself as a franchise bookend for the Packers protecting the real franchise, Aaron Rodgers. Ironically, it was his missed assignment in Kansas City that allowed his guy DE Tamba Hali to run around him and ultimately smack into first round pick, OT Derek Sherrod, breaking the promising rookie's leg in two places. With Sherrod still sidelined and recovering from that, the LT position is Newhouse's to lose. If he struggles, that will slow down the Packers offensive juggernaut, and put more players in safety danger, including Rodgers. Fans tend to overlook the importance of the guy snapping the ball, but quarterbacks don’t. Saturday is old. He’s about six years older than Scott Wells, who was let go. If Saturday holds up well, plays like he has for years, there will be no issues here. But if he hits the wall, or struggles in a new system, it could lead to a few more games like in Kansas City last year. Rodgers has to be protected. That’s extremely important and I feel people take it for granted too often. Last year, Rodgers took a lot of risks. Any single play where he’s sacked, or scrambles, his ankle or anything else could break. They need to protect the franchise, and it starts with the center calling out the assignments. This elite athlete was drafted in 1998! That’s the same draft as Fred Taylor and Randy Moss. And Vonnie Holliday. He has to slow down, and has a bit. But I expect with the increased pass rush up front, that Woodson will again jump a lot of routes in 2012 and make more than his fair share of big plays, as we’ve been spoiled and accustomed to seeing since he fell into our laps as a free agent in 2006. We still don’t know who that will be on opening day, or certainly in week 17. And if Morgan Burnett goes down, it’s even more urgent. But Nick Collins was an elite player back there and he was missed more than almost anyone could have anticipated. Charlie Peprah was weak last year, and if it’s him again, or a young guy like M.D. Jennings, Anthony Levine, or the rookie 4th round pick Jerron Mcmillian, the player must perform better than we saw from the position last year when they allowed an all-time NFL record in passing yards. Williams wasn’t himself last year due to the bad shoulder. The sad thing is he is saying it’s still a problem. He was supposed to be the Packers best cover guy, and he was victimized far too often in 2011. He needs to revert to his 2010 season for the Packers, and once again, an improved pass-rush will automatically make him look a lot better. Packers defensive back Charles Woodson was beaten by Carolina Panthers wide receiver Steve Smith on a deep pass from quarterback Cam Newton last year in week two. If the pass rush doesn't improve, scenes like this will continue in 2012. All the other WR’s in the Packers deep core are very good, but they are replaceable. Jennings is not. True, Matt Flynn still threw a franchise-record six touchdown passes in week 17 with no Jennings in the lineup. But that game was an anomaly. Jennings has been very durable in his career, but the knee issue was a concern late last year and Packer Nation prays that it was just a temporary thing. Last year, Raji had no help pushing the pocket, he played too much, and he got worn out early and often. As a result, he was just a fat body in there, along the lines of a Johnny Jolly or Howard Green. The Packers need Raji to be the guy they drafted, worthy of a top-five pick, and the guy who helped down the stretch in 2010. Imagine if Clay Matthews run of good health runs out. Nick Perry will have to provide the instant impact that Matthews did as a rookie in 2009. Even if Matthews remains healthy, Perry has to be a beast off the edge and frequently beat one-on-one blocking on passing situations and make opposing quarterbacks feel the heat from both sides. If he does that, and gives the Packers a top-notch OLB combo, it will immediately make the whole D-backfield look a lot better, and allow more touches for the offense.